The Aurora Solar Car team arrived in Darwin today, joining the numerous other racing teams from around the world in anticipation for the 2011 Veolia World Solar Challenge which officially kicks off on October 16th. Aurora Evolution, which will be racing in this year’s challenge is currently undergoing final testing and validation of upgrades in the days leading up to the start of the race. Similarly, Southern Aurora will travel to Katherine on Monday with the Education Outreach program and will also undergoing final maintenance checks. The education program will visit communities and schools, educating the public about sustainable mobility and the World Solar Challenge. Continuous updates will be available on Aurora's Facebook page as well as any pictures and videos taken. Being a public facebook page, it means that there is no requirement to have a facebook account to keep up to date with Aurora's posts. Aurora’s own Andris Samsons can be seen here demonstrating Aurora 101/Evolution. Today marks the anniversary of the passing of Aurora's chairman, David Fewchuk. In celebration and memory, Aurora has elected to tribute our participation in the 2011 Veolia World Solar Challenge to our fallen teammate and leader. Aurora's Andris Samsons took over as chairman at the end of 2010 to lead the team in what turned out to be a very challenging year. Aurora hopes to represent ourselves and honour our fallen leader with a solid performance in this year's challenge. As a mark of respect and to indicate David is gone but by no means forgotten Aurora's WSC motto this year will be "Thank you, David". In further news Aurora would also like to formally welcome several new sponsors to the team for 2011 - 2012: Marand Precision Engineering, Radox Solar, Fluke Corporation and Emlogic. 20-08-2011 - Solaris The Future of Solar Cars? 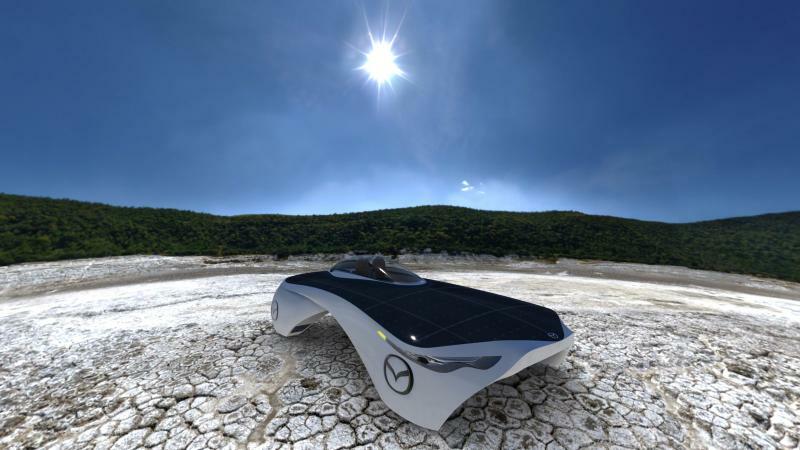 The Aurora Solar Vehicle Association Inc. is proud to announce the launch of the Aurora Solaris Concept program, the result of which is the Aurora Solaris Concept Car – a car Aurora is hoping will see the light of day for the 2013 World Solar Challenge. Solaris has its roots in a vision from Aurora that first began in 2010, when Aurora felt, after 20 years of building and racing solar cars, that the time was right to showcase a practical and fun solar assisted electric car to both the automotive industry and the general public. It was envisioned that the ideal car would have an approachable and futuristic, yet practical, four-wheeled design, room for at least one passenger as well as the driver, and a top speed of approximately 150km/hr.